Start the new year as you mean to go on with A Year in Colour. Beautifully hand-drawn and small enough to take with you wherever you go, you'll find a new illustration for each week of the year complete with a page for your creative doodles and flashes of inspiration, one week at a time. Colouring has proven to be the perfect antidote to a busy life: it is sufficiently distracting that it allows you to simultaneously focus and switch off from the stresses of the day. And it's surprisingly satisfying too. 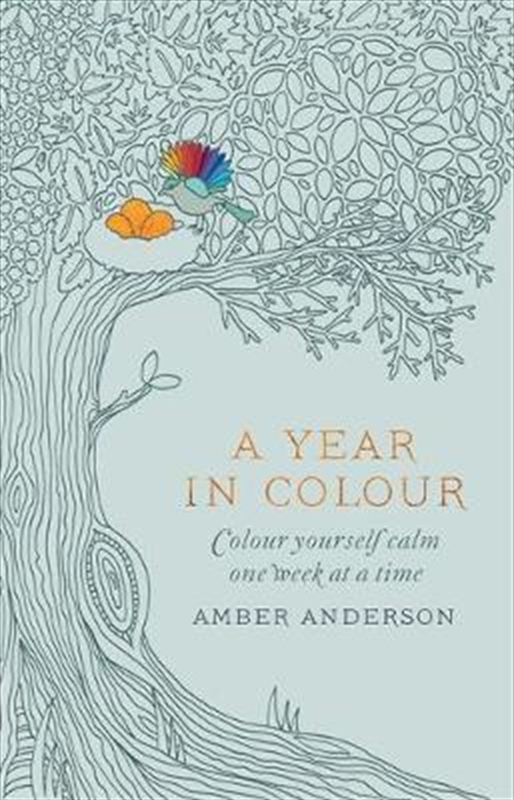 So, whether it is spring, summer, autumn or winter, Amber's intricate and sophisticated drawings are all inspired by the natural world and are perfect to colour in and admire, providing a soothing and mindful experience for those in need of a creative stress-buster whatever the time of year.